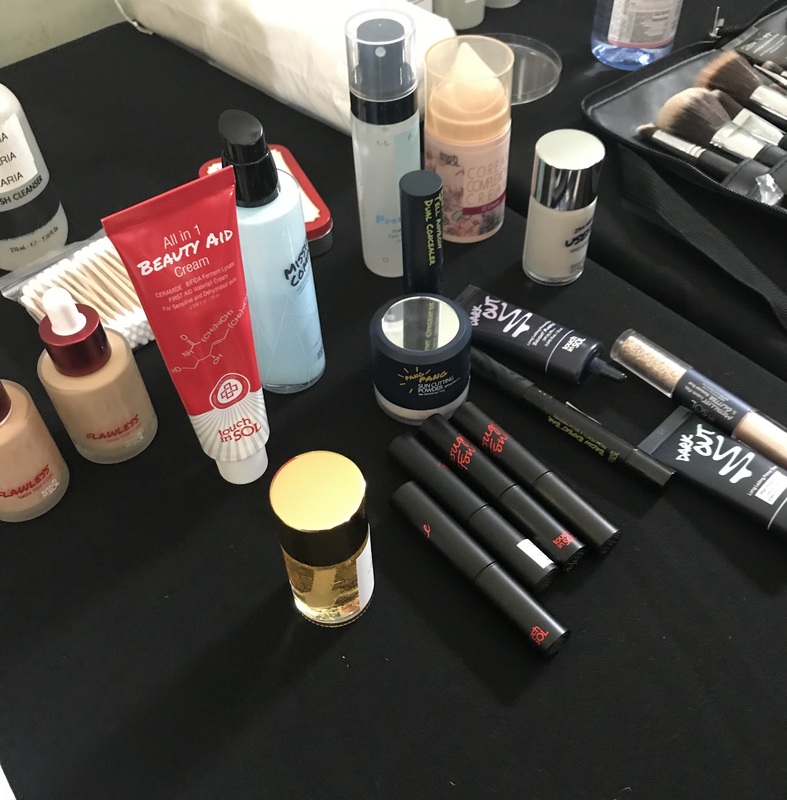 I was delighted to be invited by MMCL to be a part of the Touch in SOL makeup team assisting lead makeup artist Maria Papadopoulou in her work for fashion designer Steven Tai‘s Autumn/Winter 2018 London Fashion Week presentation. 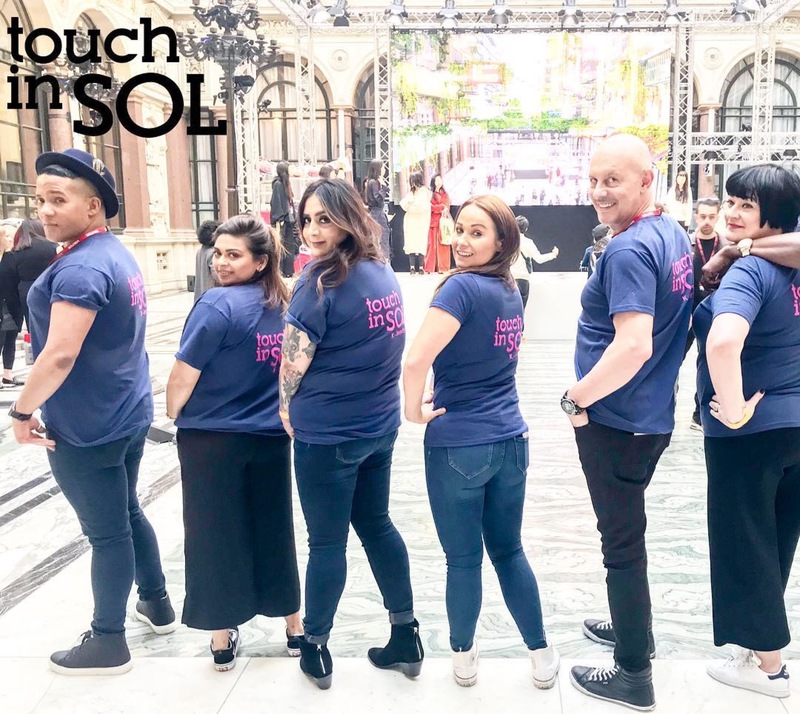 We used Korean beauty range Touch in SOL London at the showcase with the makeup look on the installation models designed by the lead makeup artist. The presentation took place in the Foreign and Commonwealth Office London within the spectacular Durbar Court. The court was transformed by means of digital special effects by ILMxLAB into a fantasy version of Macau. ILMxLAB are part of Industrial Light & Magic the special effects experts behind Star Wars and many other movies. BBC World and BBC Click covered this unique combination of technology and fashion. 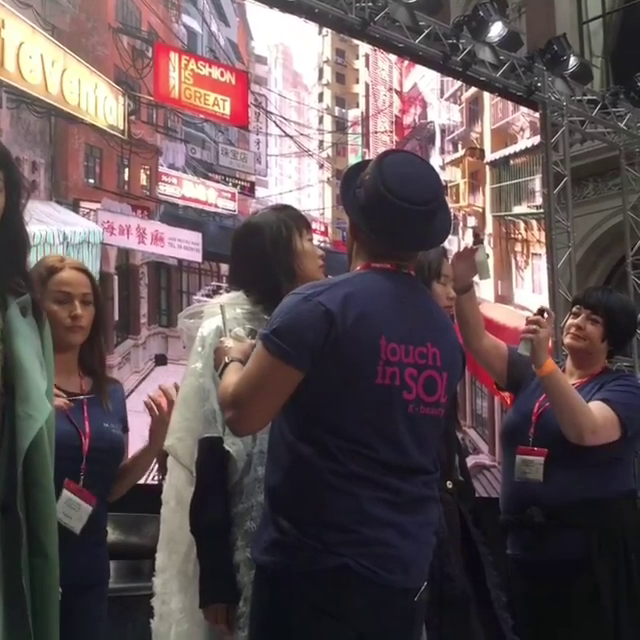 The garments were presented on stage in an installation rather than a runway so makeup touch-ups called for us to go up onto the stage.